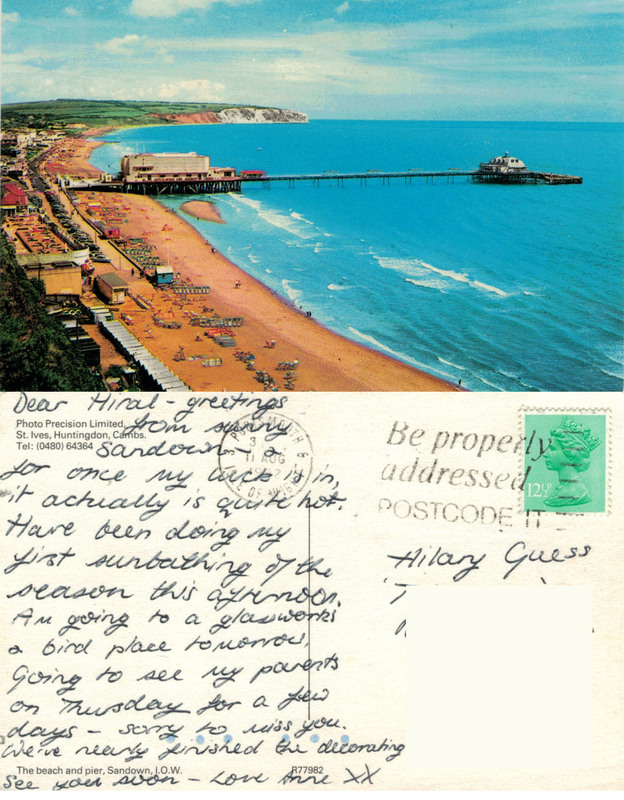 This entry was posted in Friendship, Life Path, Love, Memorabilia, Nostalgia, Postcards and tagged friends, glass blowing, history, Isle of Wight, love, postal codes, postcards, Social Media, stamps. Bookmark the permalink. The Isle of Wight is like another country – really stunning and the Isle of Wight Glass works continue to be inspired by the Island (the founder – Michael Harris – had previously worked on the Island of Malta. I have put a link to my collection of Isle of Wight Glass here. Hiral missed out – big time!